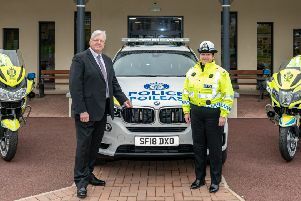 Drivers are more likely to be killed on Banff and Buchan roads than anywhere else in the UK new figures have shown. Research published by the Parliamentary Advisory Council on Traffic Accidents (PACTS) and motoring group RAC shows the area to rank first in accidents involving death or serious injury. Banff and Buchan rank first with a KSI (Killed or Seriously Injured) index rating of 211 - that’s 111 higher than the national average. Accidents in Banff and Buchan were most likely to happen on a Friday, when one-in-five of the most serious crashes were recorded. They were also most likely to occur between 5pm and 6pm.